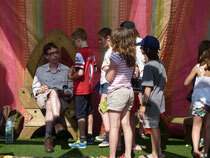 "Benjamin’s author visit is perfectly pitched for primary schools. 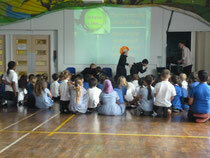 It was great to work with an author who could communicate with the children on their level. He’s been a pleasure to work with and responsive to our needs. He has a genuine connection with these age groups and his magic portal assembly really shared his story in a way the students from all classes could understand. 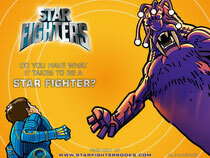 Do your pupils have what it takes to become an Intergalactic Force cadet? 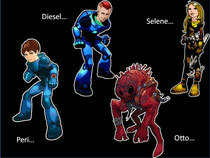 Join the crew of The Phoenix, the most sophisticated spaceship ever, on an adventure in the year 5012! 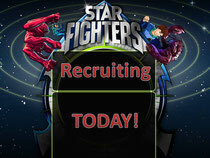 Do your pupils have what it takes to become an Intergalactic Force cadet? Aimed at years 4, 5 and 6, this dynamic and exciting talk is the perfect way to get students excited about reading by immersing them into the world of Peri, Selene, Otto and Diesel. Bringing the books to life encourages otherwise reluctant readers to get motivated for the challenges and rewards of reading. It also creates an opportunity to excite advanced readers about the possibilities for their own writing and to think more creatively about their reading. "The children and staff were all very impressed and really loved your sessions - many are still talking about them! One boy in Year 4 went home and wrote a story. His mum said he doesn't usually talk about school, but was very keen to tell her all about meeting you. It is so good for the children, particularly the boys, to have such a positive role model as you with regards to reading and writing." What happens in my school visit? 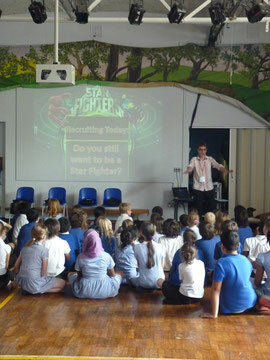 In my very interactive talk, I guide pupils through the world of Star Fighters, from the hazards of space (including a giant inflated meteoroid) to the best way to repel alien invaders. Pupils get to hear how the Star Fighters series is written by a team, how I'm only part of Max Chase, what it's like to be a ghostwriter and much more. Most importantly, they get to “try out” to become the next recruits to the Intergalactic Force though a group quiz navigating space-travelling dilemmas. But there's more to being a Star Fighter than space-know-how, you also need bravery and cunning as pupils learn when they have to defeat the dreaded Xiobot as the latest cadets to the Star Fighters Academy! Get your school buzzing about reading and writing. It's easy to contact me using the form below and we can talk about bringing my talk (and more!) to your school. I bring all my own props, but it is essential to have a computer with PowerPoint and a projector as the slide show is integral to my talk (Smartboards are ideal). Usually, fifteen to twenty minutes is required for getting set up, including somewhere out of sight of pupils to inflate the meteoroid. The talk can last from 45 mins to over an hour (depending on your timetable). 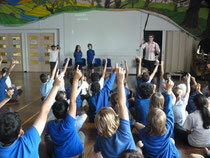 I can do three talks in a school day, or a couple talks and help facilitate other activities. I have some support materials for activities to be used when I'm gone. Local bookshops are nearly always happy to supply books on a sale-or-return basis. I can also arrange some if there isn't a local bookshop. I also do workshops focused on writing and/or reading, contact me to find out more. Get in touch now about a visit or workshop!